The Kensington Table Lamp by Eichholtz will bring a sophisticated glamour to any home interior scheme whether modern or traditional. 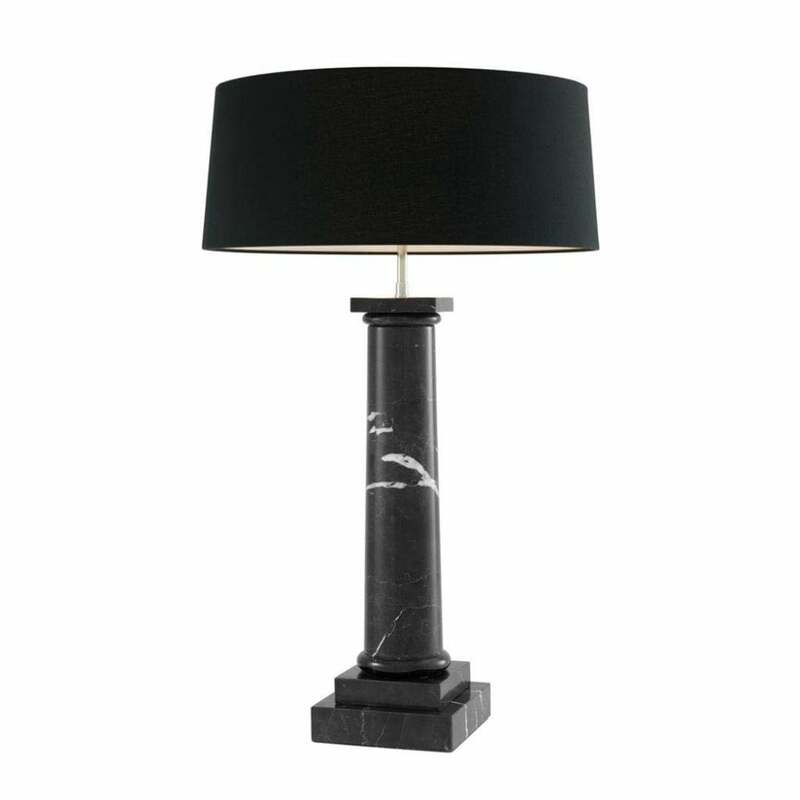 Crafted with a dark marble base, the design draws inspiration from majestic pillars within Greek and Roman architecture. The intricate marble effect is unique to each lamp giving a bespoke look and feel. Style within an art deco inspired space that pairs dark wood, lush greenery and marble for a refined look. Complete with black shade, make an enquiry for more information.